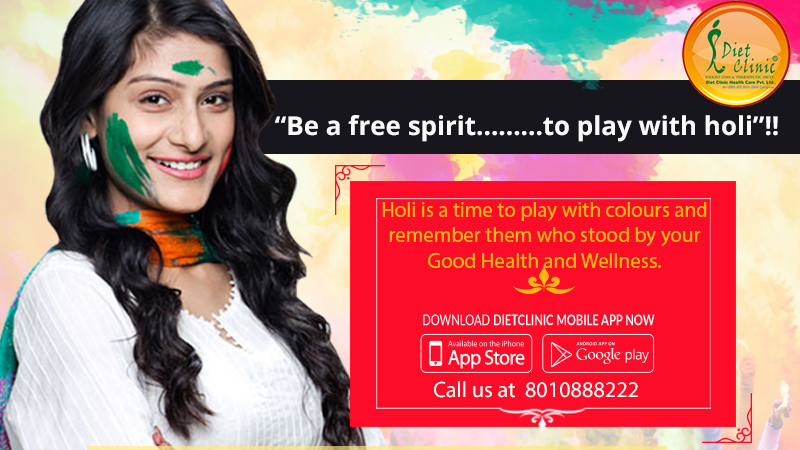 Holi is a time to play with colours and remember them who stood by your Good Health and Wellness. Though celebrating holi could be all colours, fun, frolic and lots and lots of gujjiyas, thandai and other delicacies, the aftermath could be very unpleasant at times. The actual truth is the annoying colours of holi and all the overindulgence in sweets and other delicacies that can create havoc not only on your stomach but also on your skin and hairs. Now that you have had all the fun splashing colours and gorging on sweets and savouries, what dietician Sheela Seharawat of Diet Clinic, suggests some post holi detox to reverse the ill-effects of overindulgence during holi. The first thing first – start the day with a glass of lukewarm water and some freshly squeezed lemon in it. It is help in proper digestion and regulate a proper bowel movement. The lemon water will flush out all the toxins from the body and help you cut down your weight. The fact is that the skin will also thank you for the same. Keep drinking water and if possible with some lemon all throughout the day to keep flushing out all toxins from inside. All through the day, focus only on fruits and vegetables. They are packed with vital nutrients and are low in calories. These helps keeping you full. Veggies and fruits contains enzymes that aids in digestion and helps in the nutrient absorption process. Ensure more colours. These are perhaps some of the best drinks to detoxify the body, especially after all that greasy and sugary foods. Keep drinking them wherever you are and let them bring out all the toxins from the body for instant results. Too much sugary and salty foods after holi can lead to make situations poorer. Avoid anything that is processed and that which contains high percentage of salt, sodium, unhealthy fats and sugar. These are things that negatively affects the health. Use good oils like olive oil, flaxseed oil or coconut oil. Olive is one of the best option. It contains monounsaturated fats that are healthy fats that helps regulating blood sugar and keeps the heart healthy. Also keep a note of refined flour and grains and switch to whole grains foods. Detoxification is a process that remove toxins and wastes from the body. Our liver is responsible for this process. So, when we are detoxifying our body, we are actually doing good for our liver and it has to undergo immense stress after the festivities and especially Holi. What is best diet for hypothyroidism?